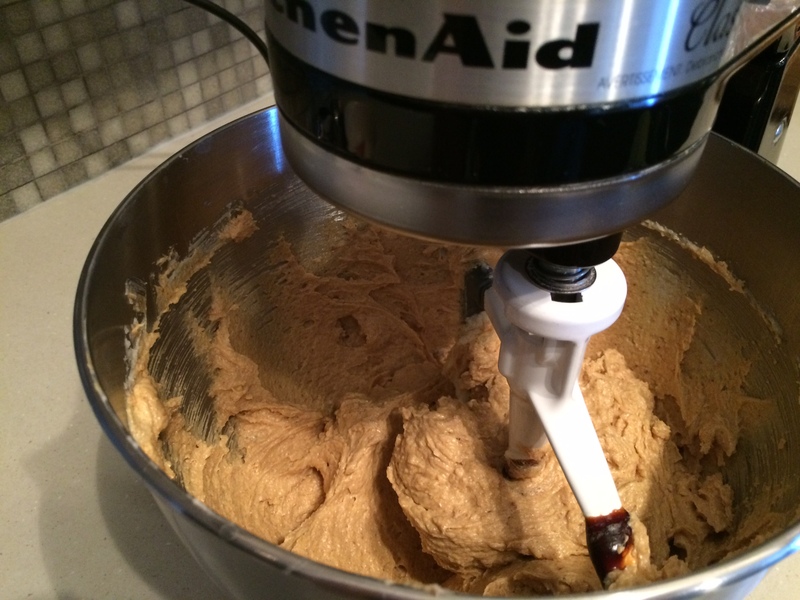 I came across this new cookie recipe on Pinterest recently and finally tackled it this past weekend. 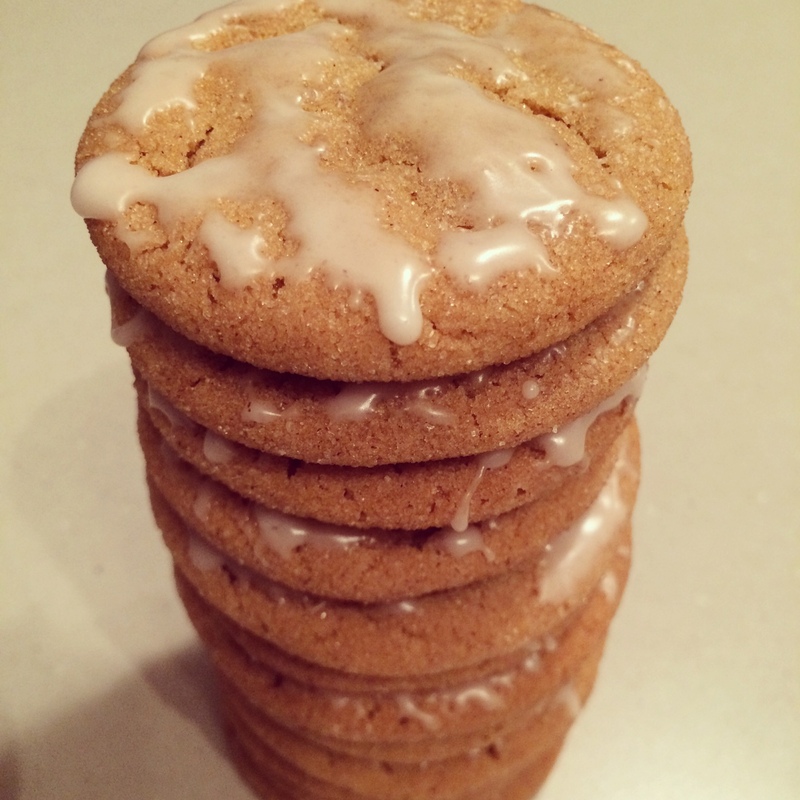 The molasses cookie is very similar to a ginger snap cookie recipe my mom often makes. But the vanilla glaze part was new to me – it was a nice added touch. I highly recommend these cookies – very tasty! Cream together the shortening, butter and sugar. 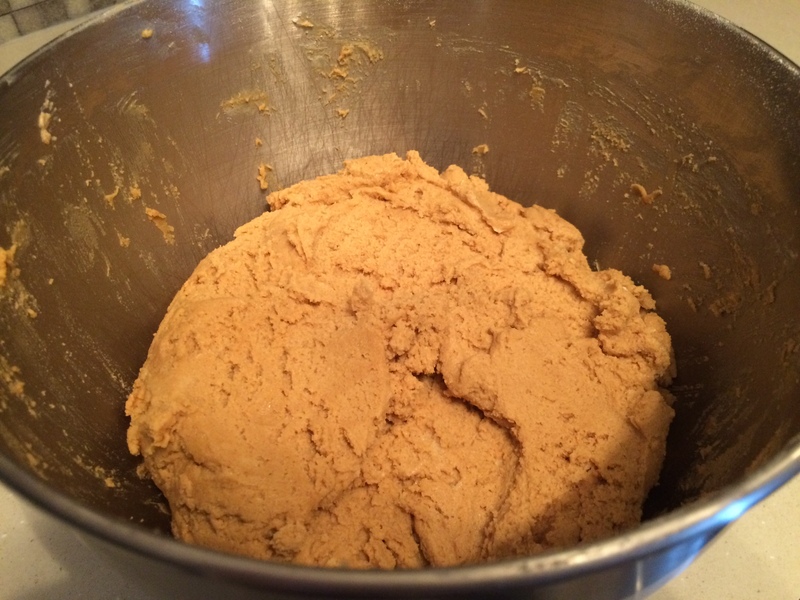 Add two eggs and 1/4 cup molasses. 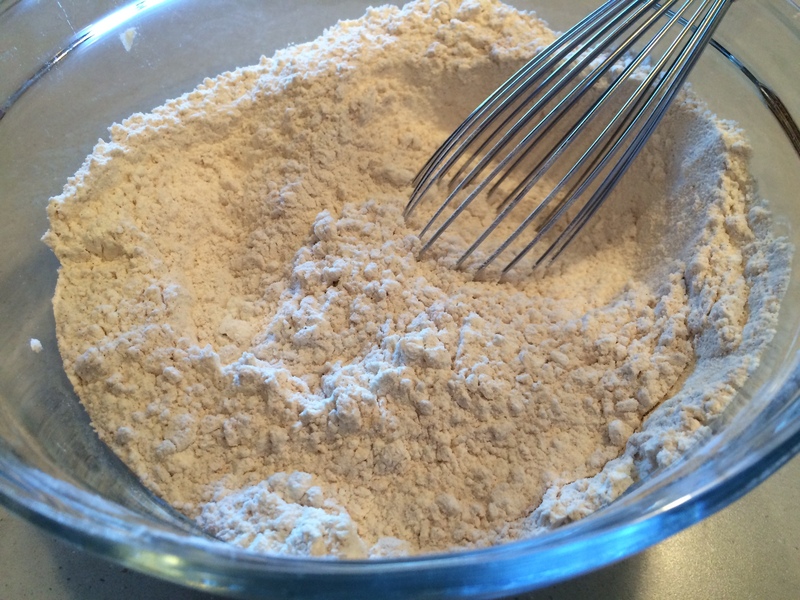 Mix together dry ingredients in a separate bowl and add to the wet ingredients. Chill for app. one hour. 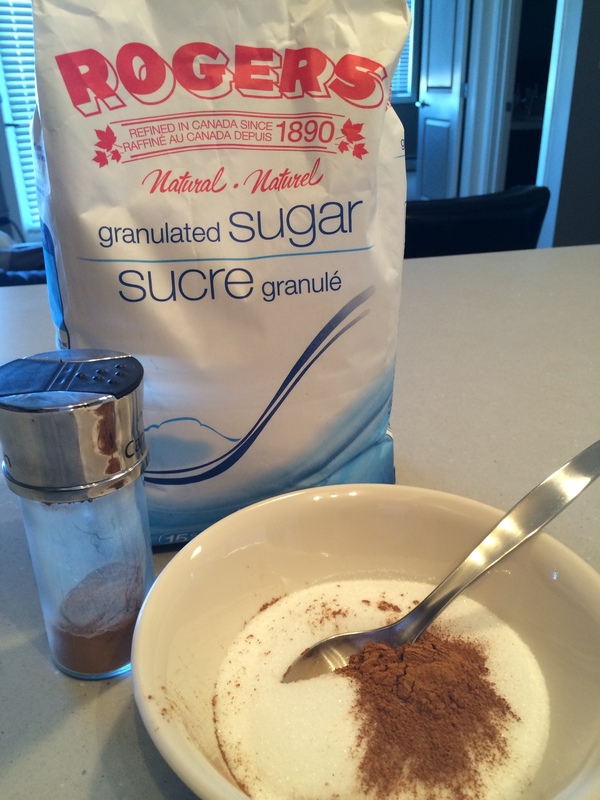 While the dough is chilling, mix together the sugar mixture – about 1/2 cup sugar and 1 tsp cinnamon. 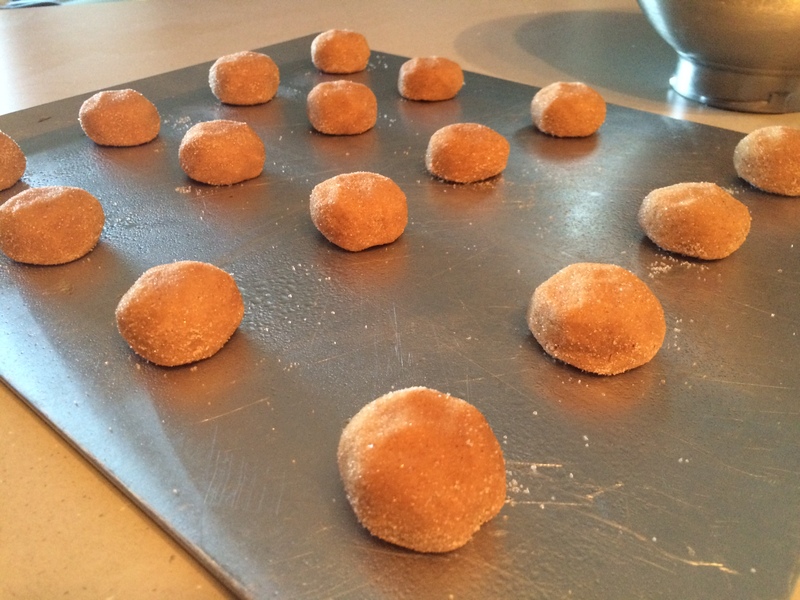 Roll the dough into small balls. 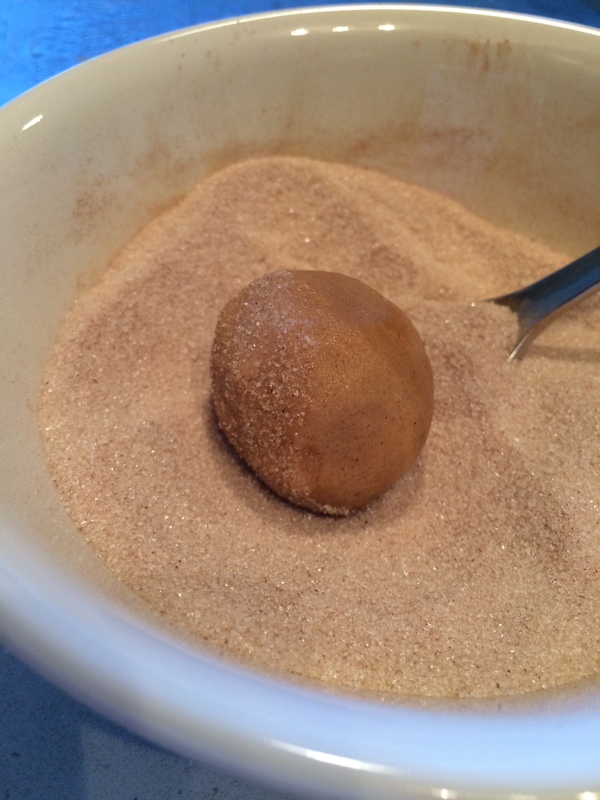 Roll the balls in the cinnamon sugar mixture. Roll the balls in the mixture. Bake at 350F for about 10 minutes. Cookies are ready to remove when the top of each cookie is cracked. Let cool a few minutes and then brush glaze on. 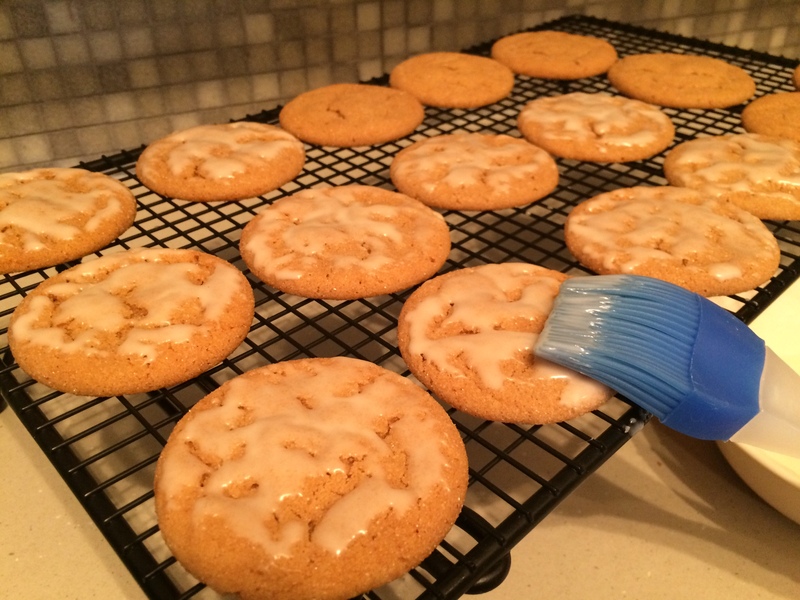 Brush the glaze onto the cookies. The final product – yum!